Protesting learners from Rivoni School for the blind in Elim outside Louis Trichardt have blocked a road leading to town. They are demanding a better school and accommodation. Learners are accusing the Department of Education of neglecting them. Police were on the scene monitoring the situation. Rivoni is one of the best performing school in the country. In 2014 to 2016, the school produced a 100% pass rate nationally. The school’s buildings and facilities however, do not match the top class results it has produced. One learner says that they study under horrible conditions. Rivoni was founded in 1975 by a Swiss doctor, Erwin Sutter. Years later, the school became the responsibility of the Department of Education. The Department is refuting claims by learners that it has neglected the school. It says plans are at an advanced stage to build a new school. Chief Director for Infrastructure, Seutloali Makhta, says that the Department will put up a tender for a new school. He says there are 35 schools with special needs in the province and they have to provide for all of them from the same budget. 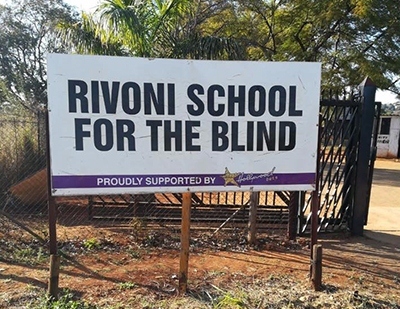 The post Rivoni school learners close road, demand better accommodation appeared first on SABC News – Breaking news, special reports, world, business, sport coverage of all South African current events. Africa's news leader..